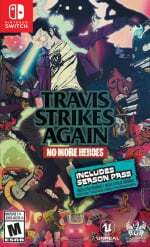 Travis Strikes Again: No More Heroes has only been available on Switch since last Friday, but the game has already received its first update bringing a new mode and extra collectables for players to enjoy. The update, which brings the game to version 1.0.1, features a New Game+ Mode to provide players with another reason to jump back in for more after beating the game. The New Game+ Mode allows you to transfer all your skills and character levels to a brand new game, as seen in the announcement tweet below. On top of this, new bonus t-shirts have made their way into the update, specifically for players who have beaten all the bosses in Spicy Mode. If you haven't achieved this just yet, make sure to add it to your to-do list to snag the extra goodies. Finally, Grasshopper has confirmed that the update also fixes several bugs "to ensure the smoothest gameplay experience possible". A modern-day update just wouldn't feel right without the odd bug fix or two, now would it? If you missed the news recently, details of Legendary t-shirts, as well as new stage info and a 'Day 7 Patch', have also been shared. Have you been enjoying Travis' latest adventure? Let us know how you've been getting on in the comments below. I hope you can play the bosses at Spicy difficulty through a Boss Rush mode. I'm not sure I'll have the time to replay the entire game with all of these new releases cropping up. Current Shirt: GALF Story. I am already bored with Travis. No more heroes for me. Trust Your Force and head into the Garden of Madness! One of the greatest games I've played on Switch. @rushiosan I'm somewhere along the same lines with you, I wouldn't rank it that high up. But I was definitely very skeptical about the game before release, and got positively surprised how good the game actually is. My main complaint still is, that the game can become very repetitive, combat wise especially, but I was able to solve this issue by just playing the game in smaller bursts, which is fine. Boss fights are a highlight for me. @Beolleika I love the boss fights! Also, I see that I've missed quite a few collectibles so it's not as linear as I thought. Can't wait to go through it again on New Game Plus. @LightBeam plus some of the haters should give it a chance instead of whining its not NMH3 which it will come wen travis strike again makes alot of money and help suda51 make his development much bigger after having to cut it down from 35 people to 15 due to money issues. I’m enjoying this game; it is pure Suda 51 and it fits the NHH universe. I love Suda 51 games,. I think Lollipop chainsaw, shadows of the damned and Killer is dead are among the best games of the last generation, and I am waiting to get my hands on the physical version of Travis Strikes Again (It takes some times to reach argentinian shores). Having said that, this here is the best argument in favor of digital games instead of physical releases. Most of the games you have on a physical media are buggy in the best case, or incomplete in the worst case scenario. @AlienigenX Killer is Dead is one of the greatest games i've played. That needs a current gen re-release. And wasn’t it supposed to be a day 7 update? Wow, this game is fun so far! Haters gonna hate, but I bet many of those who complain haven't played it. Don't misunderstand me, it's not a masterpiece, but it's fun and quirky! Interesting to see how comments sections for this game have become more positive now that people have actually played it. Loving it so far and looking forward to the updates and DLC. I've been having fun with this game Hope NMH3 will get greenlit at some point. 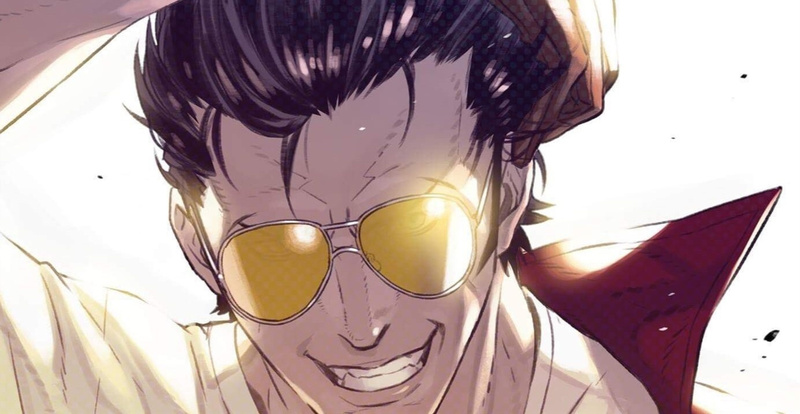 Excellent game, now i actually hope that Suda will go into this 90's beat'em up direction again. I have to say that I'm also really enjoying this game too. It's not perfect by any stretch of the imagination. However what is there is entertaining and quirky and just plain out there. Boss fights are joy and a highlight of this game. The negative reviews in my opinion probably from those who don't quite get the humour or style that suda51 is about. I'd recommended it.. I know reviews are opinions etc, etc but after playing the first three levels I will be sure to never trust the reviewers that gave this game a crap score. I'm having a great time so far, but I have to say that a lot of it has to do with the dialogue, which is all I can ask for from a NMH game. @LightBeam It's not an issue of it being big or small - just dreadfully repetitious. I'm really bummed. I beat the game a week or so ago (loved the ending!) and just downloaded the first DLC pack. Suddenly I don't have any of the stages (but still have all the special shirts and skills oddly enough) and the it says "Unlock Shinobu Jacobs by beating the game"!!!! I ALREADY BEAT THE GAME!!!!! UGH! Buyers beware! I've reached out to Grasshopper, so hopefully they fix this soon. I'll go back to being a total fan-boy for this game once this issue gets fixed.